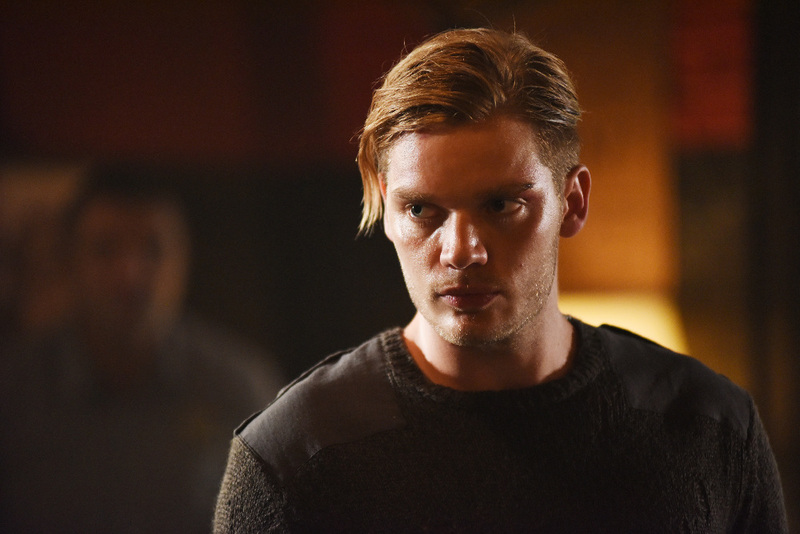 As Shadowhunters continues on in its sophomore season, we’re already getting a glimpse at some of the repercussions that have come with Jace’s disappearance and subsequent joining up with Valentine. Basically the entire Shadow World is looking for him. All for different reasons. In the previous episode, “A Door Into the Dark,” we saw just how far some were willing to go to find him. Whether it was Alec taking a dangerous risk to find his Parabatai or Clary going aboard Valentine’s ship or Aldertree trying to lure Jace to a suffering Alec, all of these motivations were driven by the desire to find Jace. In Monday’s all-new episode, “Parabatai Lost,” the entire Shadow World is looking for Jace, including the werewolves who have their own score to settle. We were lucky enough to watch the episode in advance, and it’s definitely the best episode of this season so far. It thrives on emotion. So make sure you have tissues ready. As fans saw in “A Door Into the Dark,” as Alec fought in between himself and his Parabatai he got a series of glimpses of his life, including a flashback to a moment when he and Jace were young. And if you were hoping to see more of that, then you’re in luck! As the Shadowhunters fight to bring Alec back — which includes hunting down Jace so that he can help reach him — we get a glimpse into Alec’s so-called subconscious, which includes a look at Jace and Alec’s first meeting. There are a series of flashbacks that center on Alec’s relationship with Jace, including certain ceremony that Cassandra Clare herself revealed we’d see: the Parabatai ceremony! We’ve known for some time that Maia Roberts was going to make her debut this season on Shadowhunters. And the wait is over! “Parabatai Lost” marks the official introduction of Alisha Wainwright as the sassy werewolf Maia, who quickly finds herself immersed in the center of the action. It’s amazing how easily Maia fits into the season. It kind of feels like she’s been a part of the show for awhile. And Wainwright slays as the badass werewolf. If there’s something that’s always guaranteed to gets fans talking, it’s Alec and Magnus. Following the season 2 premiere, “A Door Into the Dark” lacked the Malec we’ve grown accustomed to in the show. But “Parabatai Lost” more than makes up for that loss with some pretty emotional scenes between the two (even though Alec is, you know, not entirely in his body at this point.) Trust us, your Malec feels will be on high alert. If you’ve read the books (and if you’re on this site we’re sure you have), then you know that a certain plot of City of Ashes involves Clary and Simon exploring a romantic relationship. While the show hasn’t been blatantly obvious about it, they might as well have been. With Clary and Jace newly-declared siblings and the world spinning around her, we’re sure the fiery redhead is going to turn to her best friend for support. In the season premiere we got a tease about what’s to come as Simon nearly confessed his feelings for her. Simon was there for Clary in the premiere. Now, in “Parabatai Lost,” it’s her turn to be there for him. And there’s definitely another tease of a potential romance between the besties. Something that we’ve been excited to see the potential for in this second season are the emotional stakes. How much can this show make us hurt? It’s funny how as fans of things we like to feel that emotional pain sometimes. We want to see how much a show can make us feel. All I’ll say about the final scene of the episode is that it’ll tug at your heart strings and then subsequently rip your heart out a minute later. Bring tissues for this episode guys.